Check out a new super-tasty online slots game and get up to $1,000 in free bonus money to play at Spintropolis! New month, new online slots, new free spins bonus to play exciting real money games. 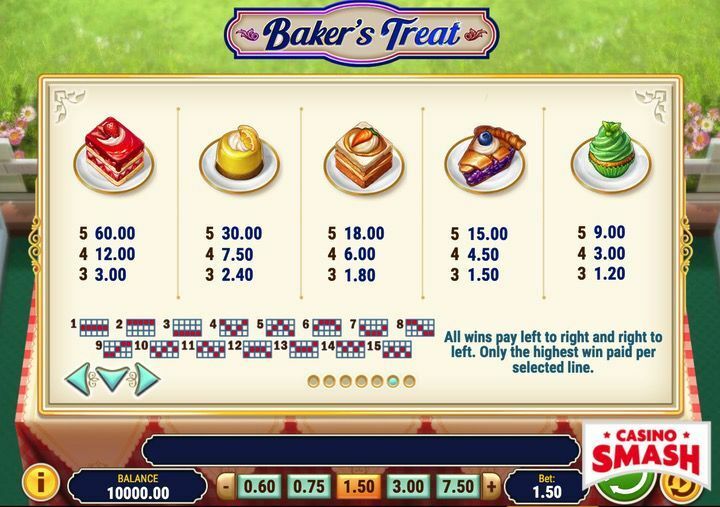 Today, I want to let you in on a new online slot named Baker’s Treat that Play’n GO launched right at the end of April. This super-fun and generous five-reel slot machine is available right now at Spintropolis Casino. But first, let’s have a quick look at what the Baker’s Treat slots is about with a short 60-second video. Baker’s Treat is a colorful and exciting five-reel slot machine game with 15 fixed paylines. Since all the paylines are active on each spin, you can size your bet by picking one of the predefined amounts displayed at the bottom of the screen. Spins range from a minimum of 0.15 up to a maximum of 75.00, making Baker’s Treat a good online slots game for low rollers as much as big spenders looking for some expensive action. 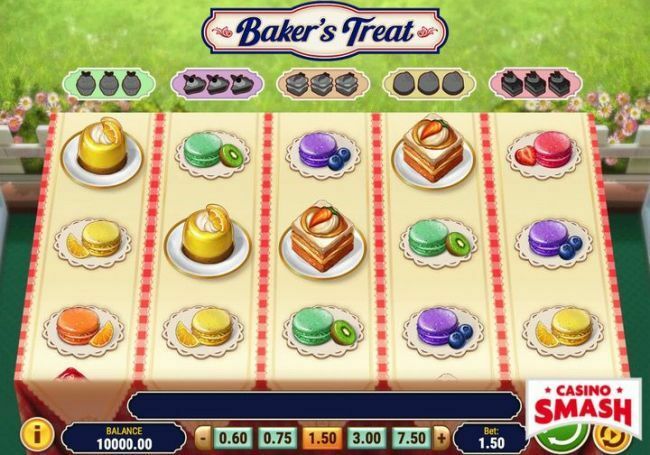 As you would expect from a slots game based on the tv series the Great British Bake Off, the game’s reels display mouth-watering symbols like beautiful Macarons and picture-perfect Cupcakes. The slots’ highest-paying symbol is the Strawberry Sponge cake. As Baker’s Treat’s official payout structure shows (see image below), getting five Strawberry Sponge in one payline gives you a win equal to 40x your bet. In the Baker’s Treat slots, each reel has its own cake assigned to it. Whenever a full stack of three cakes lands on the right reel, you collect one token to access that reel’s bonus round. To trigger the bonus round and access a world of extremely generous free spins, you need to gather three tokens. What makes this bonus feature a little more complicated than usual is that each reel (and cake) comes with a different bonus. 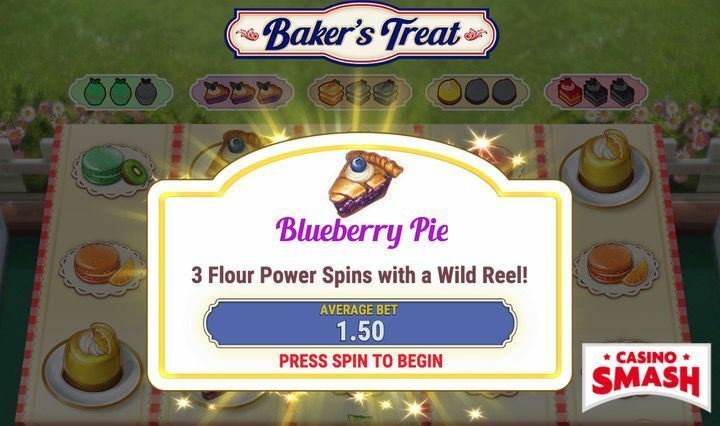 Blueberry Pie Power: 3 Free Spins in which one reel is wild. Carrot Cake Power: 3 Free Spins in which all Carrot Cake symbols are upgraded to Wild. Lemon Cheesecake Power: 3 Free Spins in which all regular Wilds expand to fill the reel. Strawberry Sponge Power: 3 Free Spins in which all Macarons are converted into one type of Macaron. The game also features one more bonus game named The Great Bake Off, where you get access to premium wins can can earn you up to 5000x per spin. The special feature starts when five cakes land on the reel that is associated with their symbol. The Great Bake Off online slot machine game is available at Spintropolis, one of the top casino sites when it comes to new slots. The game is available for real money (here) and for free play (here). If you don’t play at Spintropolis yet, you can hit two birds with one stone and get also the $1,000 Welcome Bonus package they give to all new players. This exclusive bonus code earns you an instant bonus package made of a 200% match bonus for up to €1,000 and 20 wager-free spins to play slots. You can use the bonus cash to play every game on the platform, while the free spins are limited to games by Betsoft, Fugaso, and GS. 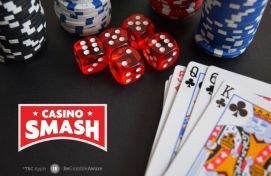 Remember: you need to use the bonus code SMASH200 on your first deposit to activate the promotion! Don't miss this unique opportunity to play at a brand-new site and try some of the best online slots to play in 2018 with such a generous bonus package. Sign up for a free account at Spintropolis today and get started! Play With Five Times More Money at La Fiesta Casino!